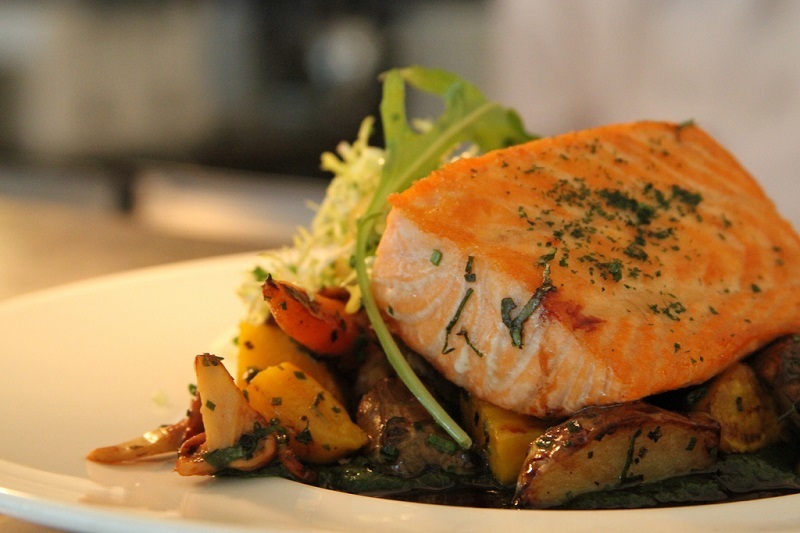 Salmon is healthy and fine fish, and we bring you a simple, fast and very tasty recipe. Preparation takes 20 minutes, and the amount of ingredients is designed for four people. Prepare pieces of foil several times larger than a piece of fish. At each place a piece of parchment paper. On paper lay the fish, coat with oil and pour two tablespoons of wine. On each piece put two slices of lemon over all and sprinkle a teaspoon of capers. Then all together tightly closed in foil and ‘packets’ put on a baking sheet. Put in preheated oven and bake at 220 degrees for about 20 minutes. After that, remove from the oven, open the packets and sprinkle over dishes of chopped parsley. Care should be gravy falling out. Fish from the foil to transfer to a plate and pour the juice from the roast. Serve with roasted vegetables and salad to their own taste. Next: Sturdy and built bottom: It only takes three minutes a day for three exercises!